Student observer notes: this photo was part of a 4-way tie for 5th place. 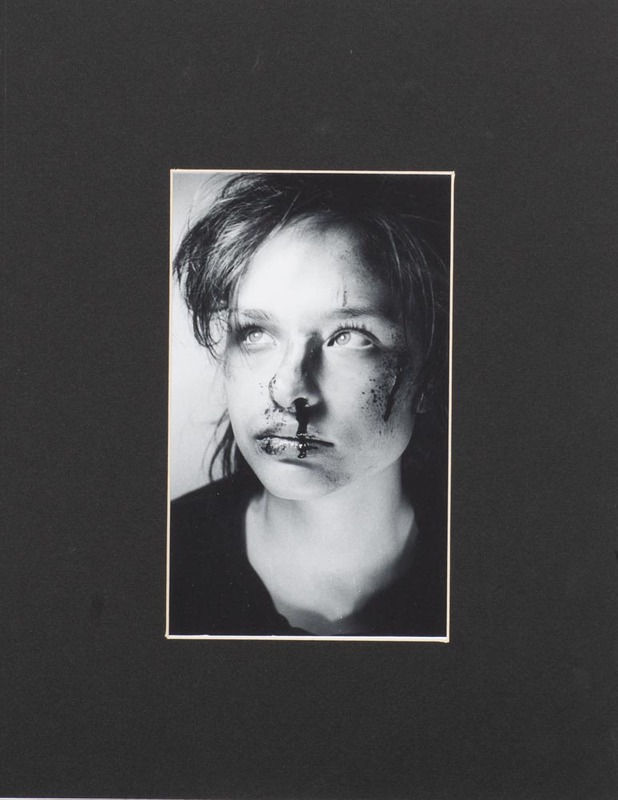 The judges liked how the portrait of the girl’s face was dark and moody. They liked the tonal range that the goat photograph had and the goat photograph's presentation. They chose the goat as 5th place pretty unanimously. For 6th place, the judges again talked about the portrait of the girl. One judge was adamant that the photograph was honest and poignant. The other judges liked the composition of the photograph of a woman with her back turned. Judges agreed that they were all very different photographs with different moods. The woman with her back turned was chosen as 6th place.